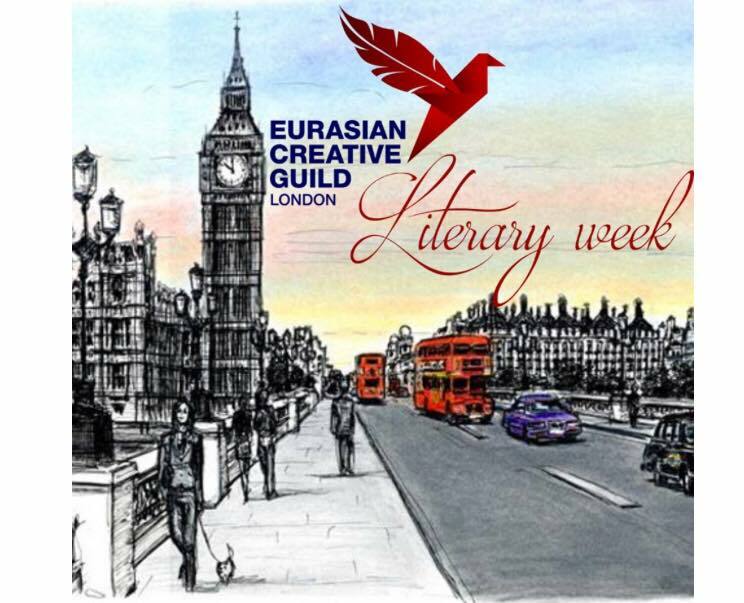 Eurasian Creative Guild (London) is happy to announce the second ECG Literary Week, to be held from the 1st to 7th of October 2018 in London. We want to present creativity in its numerous forms and show that art is a unifying force. You will be able to delve into the atmosphere of Eurasian culture and literature, wrapped up in the charms of the British autumn with the help of an art exhibition by Belarusian and Kazakh artists, the presentation of the Book Series ECG-2018 and the literary evening, “Voice of Eurasia,” held in an open mic format. The literary week has become a tradition and is being held for the second year in a row on the eve of the most important literary event in the Eurasian calendar: Open Eurasian Literature Festival & Book Forum. At the first ECG (London) Literary Week in 2017, books by 17 authors were published within the ECG 2017 Book Series and were presented. The first Book Series ECG-2017 was a new step in the publication and distribution of books by Eurasian authors around the world and garnered a staggering amount of interest from the press and like-minded people, encouraging authors to publish new books in the Book Series ECG. In 2018, the ECG Literary week is going to be a unique event: it will not only be the celebration of the word, but also the celebration of colour. So, in October 2018 we will be happy to present new books by ECG members published within Book Series ECG-2018. The general presentation will feature works by more than 20 authors from Kazakhstan, Azerbaijan, Belarus, Russia, the USA, Great Britain, Israel and Australia. Additionally, books by Leila Aliyeva (Azerbaijan), Soyangul Chanisheva (Australia), Anna Komar (Belarus), and speeches by Nadezhda Kolyshkina (Russia), Larisa Prodan (USA) and Victoria Levin (Israel) will be presented. The main events will be held at the following venues: The 5th Base Gallery, Fitzroy House, the Yunus Emre Institute and Rossotrudnichestvo. You are invited to take part and delve into the stunning world of international art and creativity at the 2nd Literary Week ECG (London): an event that captivates both thoughts and feelings. To see the Provisional Program, please click here. Previous A special guest from Thailand made the VII meeting of the Eurasian Creative Guild (London) in Minsk! Next Modern Kazakh literature will be published in the homeland of Shakespeare.